The committee on Honors and Awards of the ACLA has awarded the Harry Levin Prize for 1987 to two distiguished works, both published in 1987, of equal merit and significance, but one more "historical" and the other more "interpretive". Annabel Patterson's Pastoral to Ideology: Virgil to Valéry, the more diachronic of this year's two prize-winners, is an account of the reception of Virgilian pastoral (chiefly the Eclogues) from medieval to modern times. Virgil's parable of the "vocational anxiety" of the poet-intellectual, perilously caught between his patrons, the holders of political power, and his pastoral "subjects," those who are disenfranchised or "expropriated" by them, has been reinterpreted according to the political, personal, and cultural circumstances of each age and author. 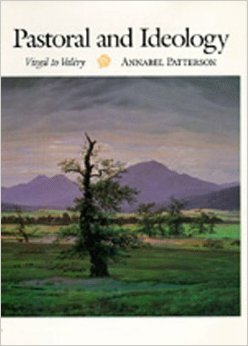 Patterson brilliantly reinforces her analyses of the Virgilian intertextualities of Petrarch, Spenser, Pope, Crabbe, Wordsworth, Gide, Valéry, and many others, from the evidence of commentaries (Servius and his successors), translations, adaptations, and particularly, illustrations, with telling examples of visual/textual emblems of historical and aesthetic change in works by Sebastian Brant, Blake, Samuel Palmer, and Maillol, among the forty reproductions included. No student of either the pastoral or of ideology in literature – the writer's strategies for revealing, while concealing, his engagement with contemporary events – can afford to overlook this lucid, learned, and eloquent book. 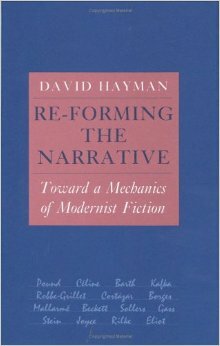 David Hayman's Re-Forming the Narrative: Towards a Mechanics of Modernist Fiction deals, more synchronically, with works by two dozen Modernist authors, many of whom have already been claimed for Postmodernism. Hayman sidesteps this terminological dispute as he sees many of the alleged "subversive" strategies of postmodernism as overlapping and continuous with High Modernism, especially with the "master-texts" of Joyce. Hayman seeks to establish a "period style" for late modernism through his classificatory analysis of five sets of modernist narrative strategies possessing rhetorical, stylistic, and structural implications. His categories yield rich, subtle readings and new critical conclusions about such "difficult" authors as Goytisolo, Sollers, Maurice Roche, Roussel, Gombrowicz, and Gass, in terms of their development of post-Wakean encyclopedic-epic strategies. Hayman provides us not only with stimulus, but with a challenging methodology for our own rethinking of all such texts.